So, we are down to the second ODI of the series and who would have thought that India will go into the game needing a win to stay alive in the series. It was that sort of a game for India where their top-order failed to get going paving the way for yet another middle-order meltdown where the likes of Ambati Rayudu, MS Dhoni and Dinesh Karthik could not give enough support to Rohit Sharma, who scored a sublime 133- his seventh ton against Australia. But, it is not the top-order that needs a fix, it is the conundrum of No.4-7. The suspension of Hardik Pandya has meant India can't play both Yuzvendra Chahal and Kuldeep Yadav in the same eleven bringing Ravindra Jadeja into the equation. Dinesh Karthik did not make the most of his opportunity in the first ODI at Sydney at the No.6 spot which means Kedar Jadhav could get a look-in to the playing 11 to provide a few stop-gap overs besides his power-hitting. 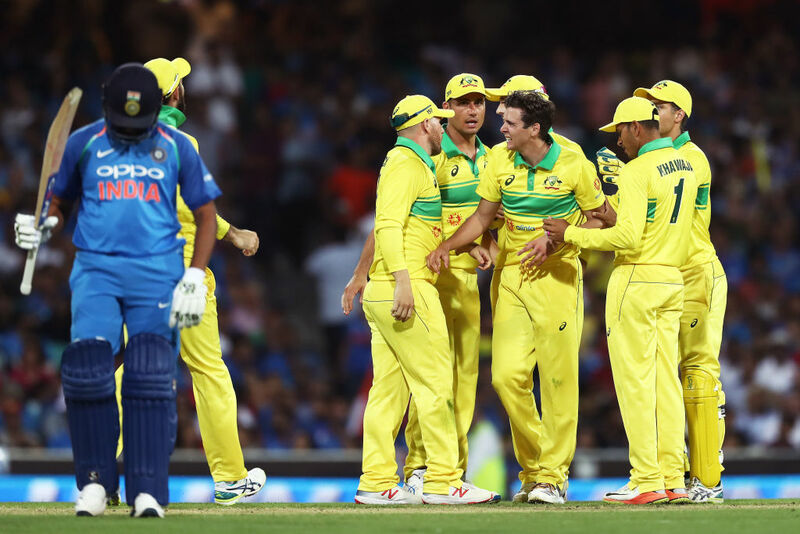 Australia, arguably, produced their best ODI performance in close to two years at the Sydney Cricket Ground, and much like the T20I series that preceded the Tests, left India to find a response to enforce a decider in the third game. Their batting backed up by fifties from Khwaja, Marsh, and Handscomb was efficient rather than electric where Maxwell coming into bat at No.7 left a lot to be desired. But, their new-ball bowling attack of Jhye Richardson and Jason Behrendroff squashed all the jitters that suggested that their first innings score of 5-288 was at least 20-runs short. The last couple of ODIs at the Adelaide Oval has served low-scoring encounters with Australia successfully defending 231 against South Africa earlier in the season. The weather, unlike Sydney, is expected to be pretty hot with the temperatures hovering around 40 degrees. India has a 1-4 record against Australia at the Adelaide Oval. However, their last fixture against the Aussies on this ground came seven years ago, which the tourists won by four wickets. Virat Kohli's last ODI outing at Adelaide came against arch-rivals Pakistan where the Indian captain dazzled with a match-winning ton. Australia- Alex Carey said in the pre-match conference that Mitchell Marsh has fully recovered from gastritis. But, given an all-round performance at the SCG, Finch and the team management are unlikely to make any changes. India- Finding the right balance will be key to India's fortunes. Kedar Jadhav should come back into the reckoning, given his ability to provide few stop-gaps overs. Khaleel Ahmed had an ordinary outing at Sydney but is likely to make the playing 11.